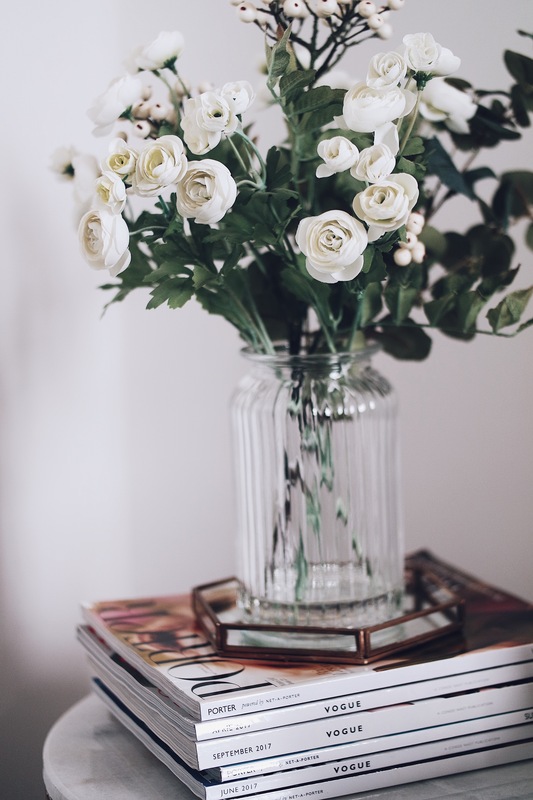 Ever since I was a little girl going furniture shopping with my Godmother, I have always seen Laura Ashley home as the ultimate place to shop for homeware. 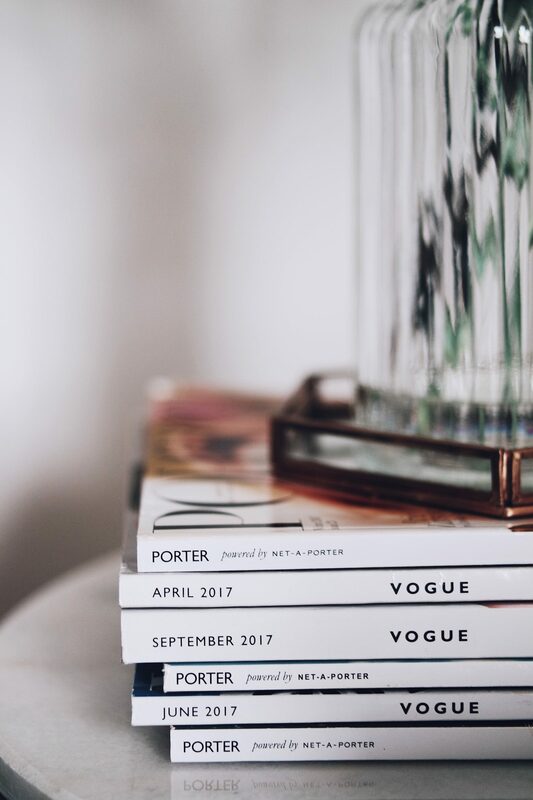 Originally I just thought fabrics, wallpapers and larger homeware pieces like sofas. It wasn’t until I moved into my own home that I started to properly look into what they had and I was so pleasantly surprised at the selection of home accessories to add finishing touches. 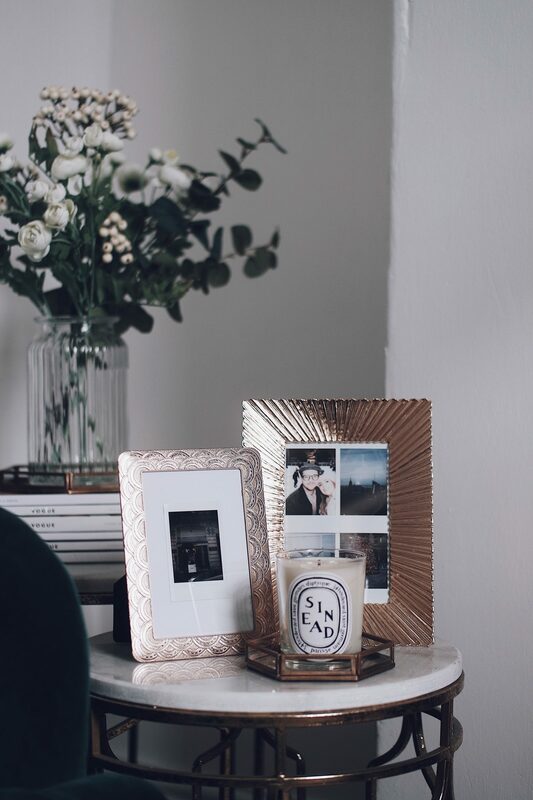 I live in a rented home so things like wallpaper are out of the window but that doesn’t mean you can’t still make a rented place feel like home by adding some accessories and decorative pieces and giving it your own touch. 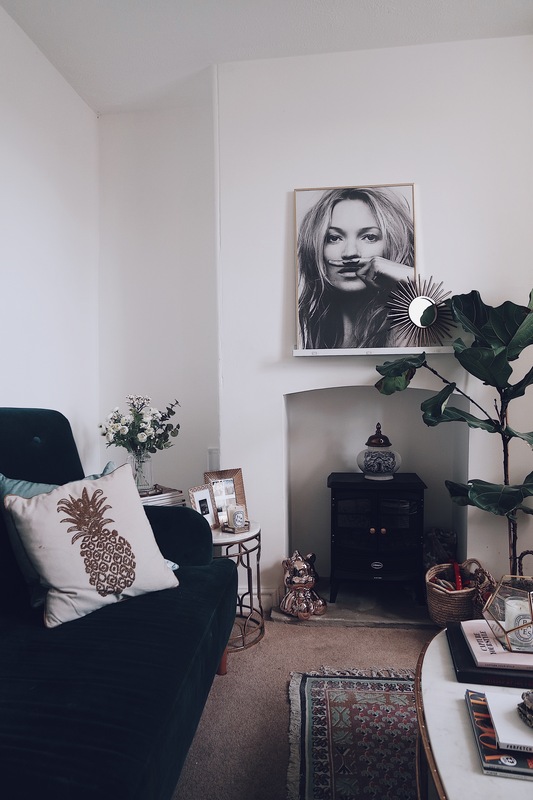 So I’ve nearly been in this house for a year now and although when I first moved in I went on a mad homeware spree and got really into decorating. I kind of lost momentum which meant that most rooms are almost there but not quite finished. 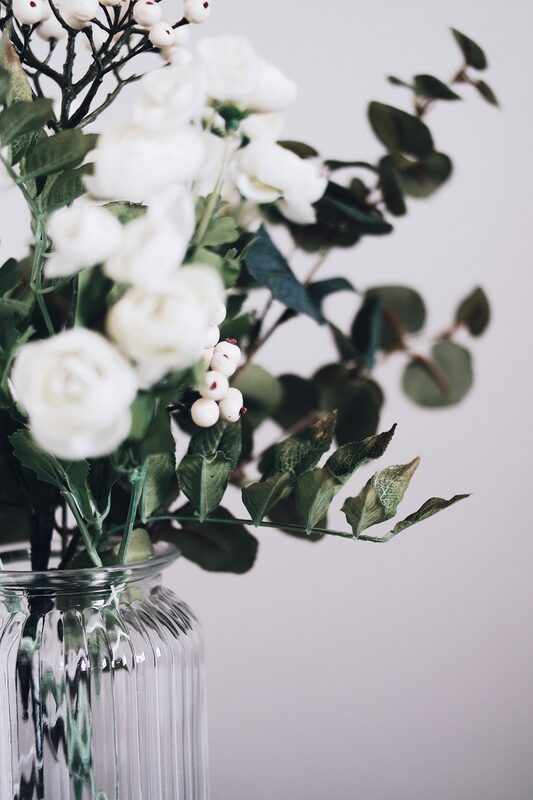 I decided to tackle the living room this week with Laura Ashley after discovering the homeware accessories which are super affordable and just have that luxurious feel that can make the perfect finishing touches. 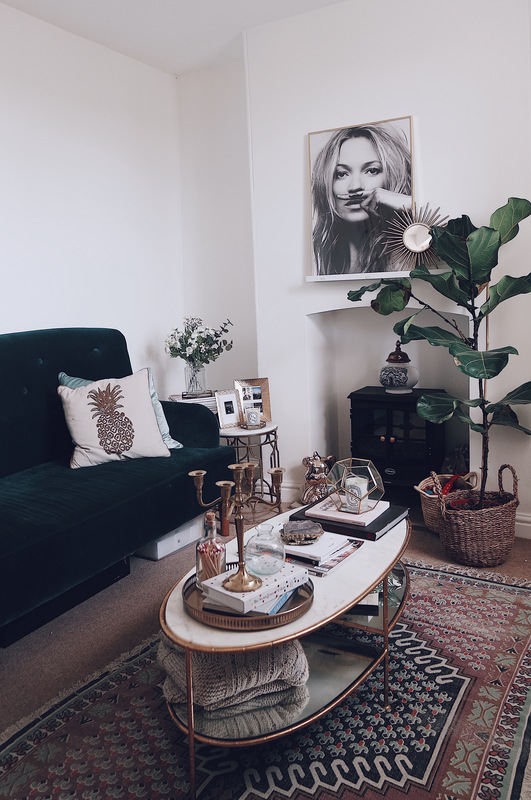 My living room already has a really strong colour theme with the teal velvet sofa being the main statement piece along with some gold and marble side tables . . yes I am a blogger cliche. As I mentioned before it is rented so unfortunately the horrible stained cream carpet is non negotiable, hence the huge rug covering most of it! 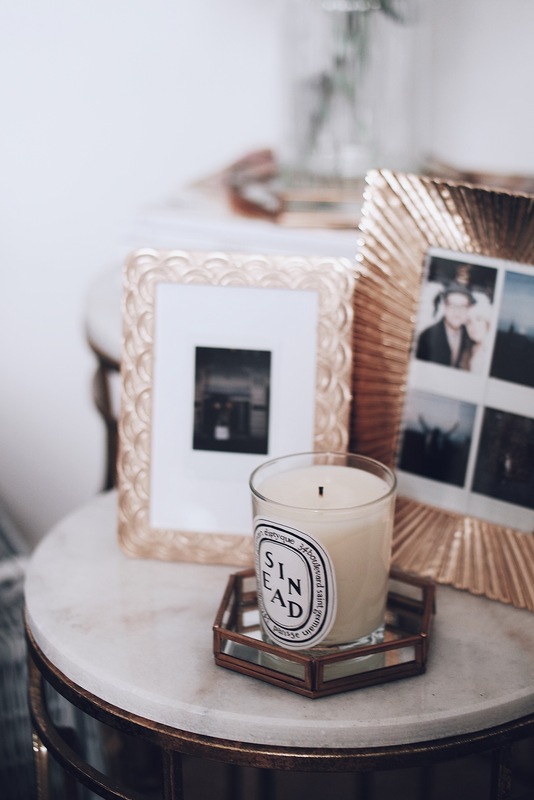 For this reason I stuck mostly with simple accessories with the gold finishing to add some personality to my side table. 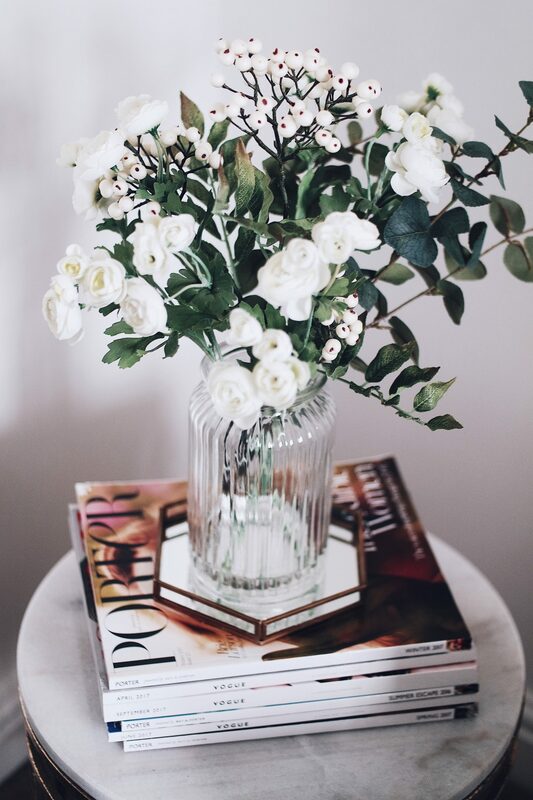 Gone are the dried up Eucalyptus leaves and in is the new set of faux flowers which are so beautiful and will be blooming all year round, no dropped leaves to hoover up . . the dream! 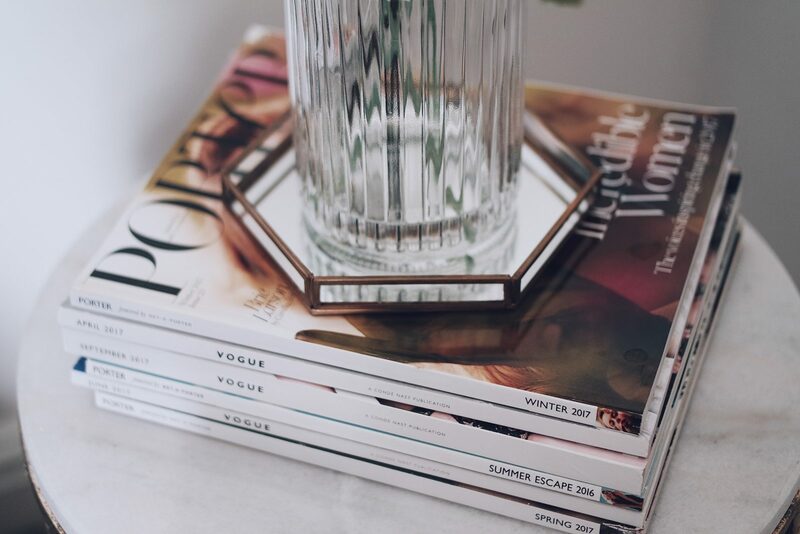 I got these pretty hexagon trays originally to put together but once I started playing around I really loved the tray for the flowers so decided to put the smaller tray on the second table with my candle which as you can see is personalised so I shall never burn it. 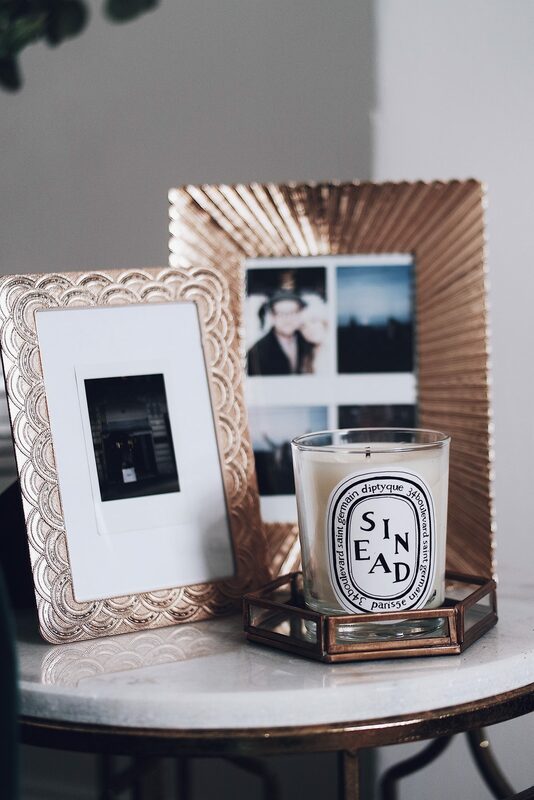 Hands up who else is like that with candles?! I have about 50 around the home all of them un touched! 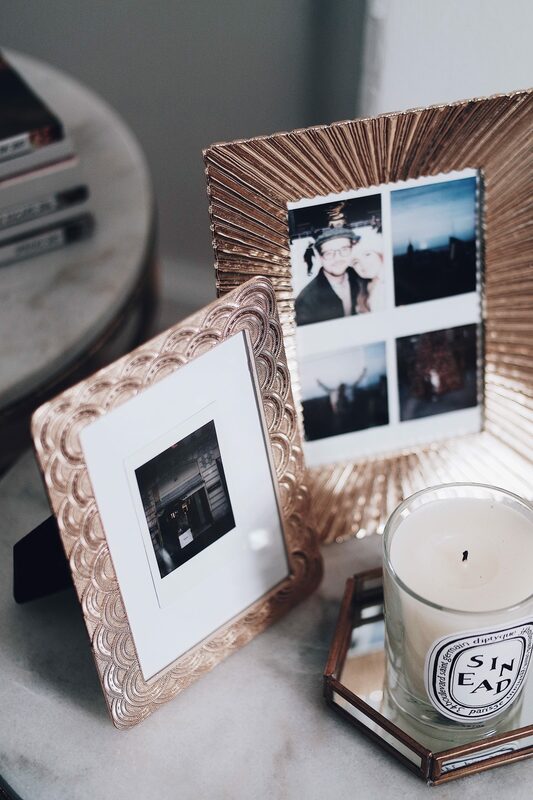 The next thing I picked up were some gold photo frames. 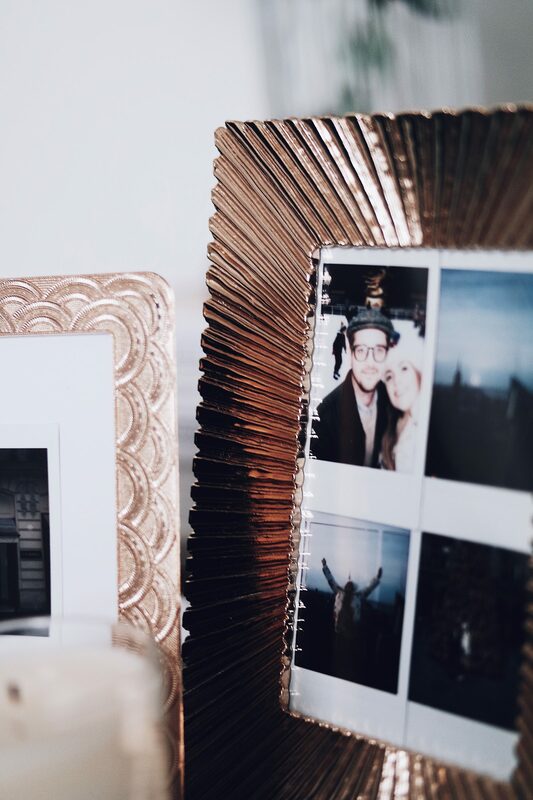 We don’t have any personal photos around the home, just some prints and artwork so I really wanted to display some of the polaroids I took whilst in New York at Christmas! 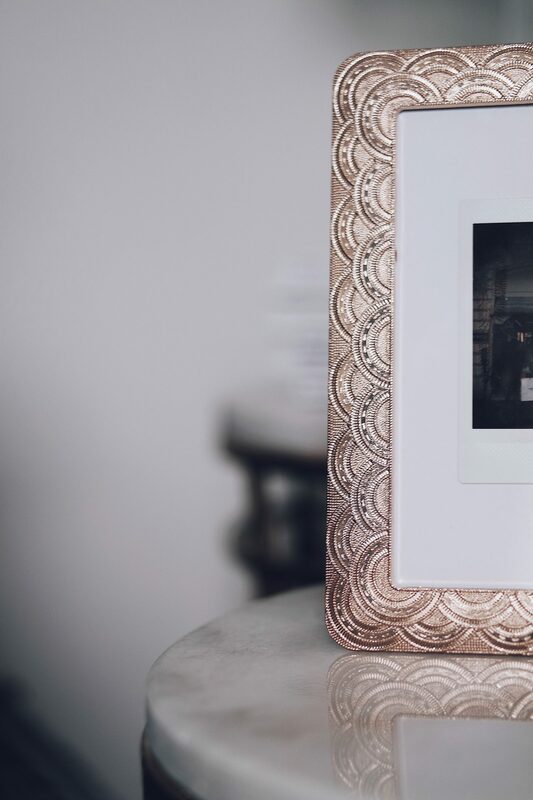 I made a little collage in the larger frame and just stuck one in the middle of the small frame, I love the effect and now I can see the pictures everyday, I think they were in a box before which isn’t much use to anyone! Finally I tackled the sofa. I had originally just got tonal cushions in a rough cotton to match the shade but it felt quite cold and empty. In my humble opinion, when it comes to cushions, the more the better. My Fiance does not agree with this so we had settled on 4. I’ve since decided to go against his wishes because it needed sprucing up. I found this velvet cushion in the same Duck Egg Blue as my other cushions and I love the added texture it brings. I think added in a couple more cushions in the form of this longer style and this pineapple style, because pineapples are fun. What do you think to my little updated corner? I’m super happy with it, I think I need to do a couple more corners now and this room will be perfect! 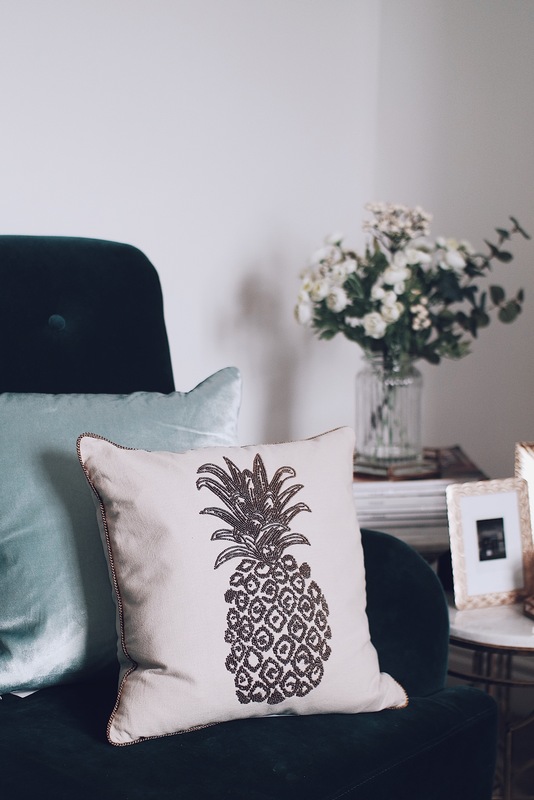 How cute is that pineapple cushion?! Also that print is my pride and joy! Thanks so much lovely! I always find it hard as we are rented and the carpet is so ugly!